Thornybush Game Reserve is a private game reserve near the town of Hoedspruit, in the southern part of the Limpopo Province of South Africa, approximately 400km east of Johannesburg. Thornybush is adjacent to Timbavati Private Game Reserve, forming part of the Greater Kruger Park. This is the heart of the Lowveld – a subtropical region of South Africa, bordered by Zimbabwe in the North, Mozambique in the East and Swaziland in the South. This part of South Africa has perfect temperatures all year round and is scenically beautiful, characterized by bushveld (savanna) landscape. From Thornybush the Drakensberg escarpment is visible in the distance, rising up from the lowveld in the west (on top is the famous Panorama Route). Thornybush Game Reserve is approximately 14000ha in extent. It is a well established reserve, the perfect habitat for Africa’s famous Big Five (lion, elephant, leopard, rhino and buffalo) as well as a host of other animals (eg. cheetah, African wild dog, hippo, crocodile, giraffe, zebra, various antelope species, porcupine, aardvark). 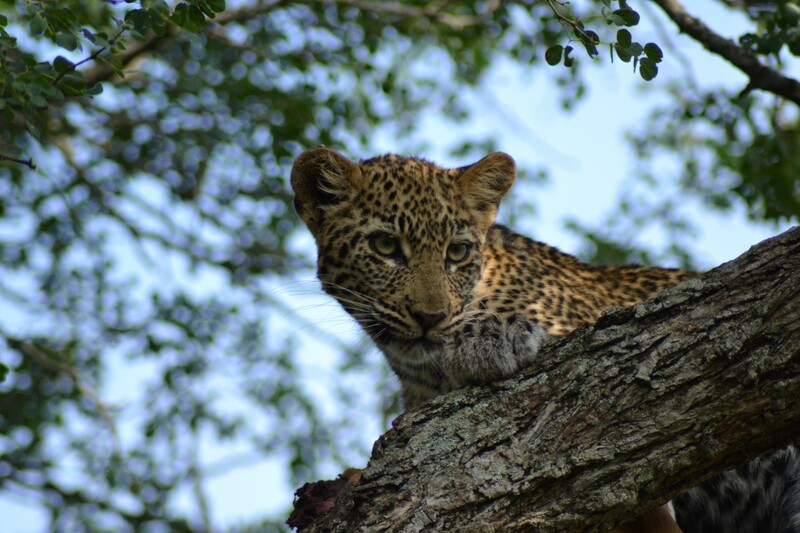 Thornybush is home to 147 mammal species, 114 types of reptile, more than 500 bird species, dozens of fish and amphibian species and 336 types of trees, as well as countless grasses, insects, etc. Protected nature areas in South Africa can be divided into two types. Firstly, there are the state parks, run by the national or provincial governments (Kruger Park being the most famous). These parks can be explored by visitors in their own vehicles. Although they do provide a good wildlife experience, state parks can be quite busy and visitors must abide by strict rules. For example, vehicles must stay on the roads and visitors must be in camp by sunset. Secondly, there are the private nature reserves such as Thornybush, managed by private landowners. Although all protected areas are dedicated to the preservation of flora and fauna, different rules apply in the private game reserves. Visitors explore the reserve with a qualified ranger in an open 4×4 safari vehicles. The ranger’s knowledge of his area and the bush in general will result in better game-viewing than when searching for game in one’s own vehicle on a marked road in the state parks. And the ranger explains more about the intricate complexity of all aspects of the bush, not only animals but also soil, flora, stars, geology, medicinal use of plants, etc. The ranger is assisted by a tracker who reads the animal tracks thus increasing the chances of finding good sightings. In addition, vehicles in private game reserves may under certain circumstances drive off-road, bringing visitors closer to the game and the afternoon game drive continues until well after sunset, thus offering the opportunity of seeing nocturnal wildlife. It is always surprising how busy the bush is after dark! In addition to game drives, some lodges in the private game reserves offer the opportunity of bush walks. All these factors combine to increase the chance of better sightings during your short stay in the bush.